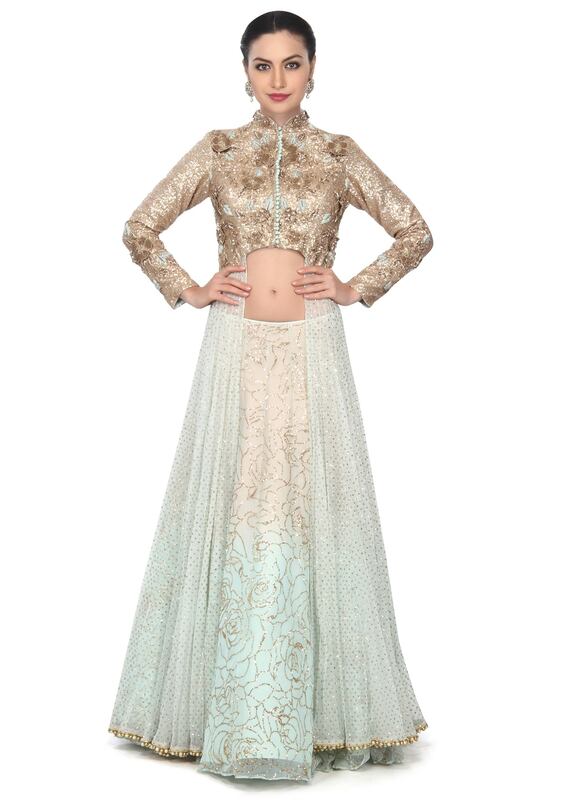 Shaded lehenga in beige and sky blue featuring in embellished net in rose motif. Matched with long jacket blouse in blue net. 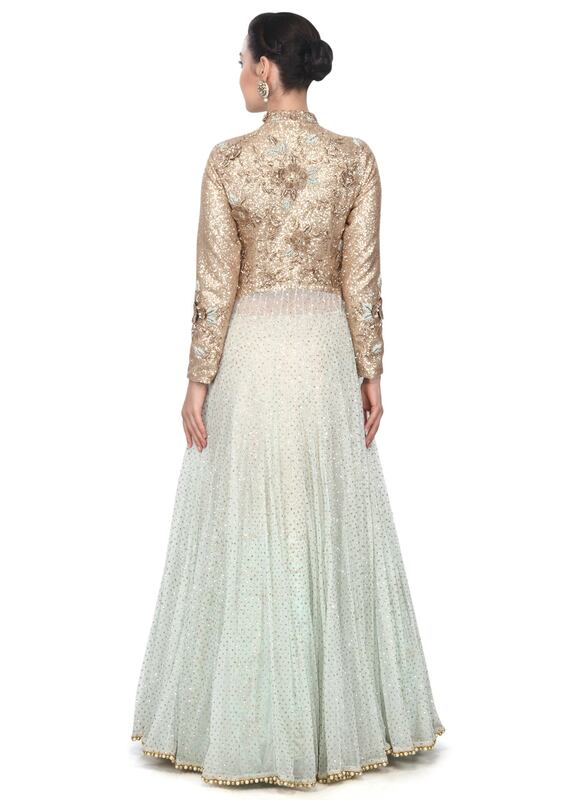 Yoke is embellished in sequin and zardosi embroidery.